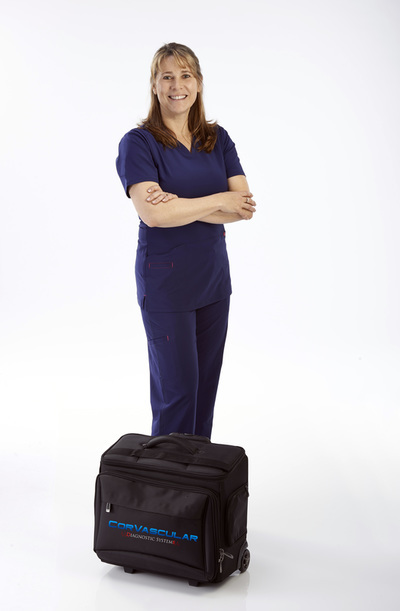 Now you can easily take your CorVascular F Series VasoGuard on the road with the Pac-N-Go. 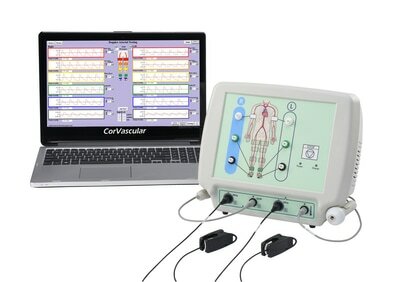 The system is completely battery powered and ready for testing anywhere. 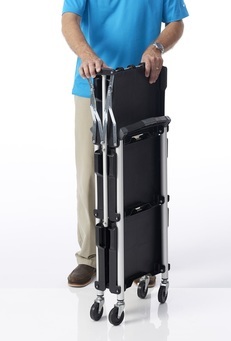 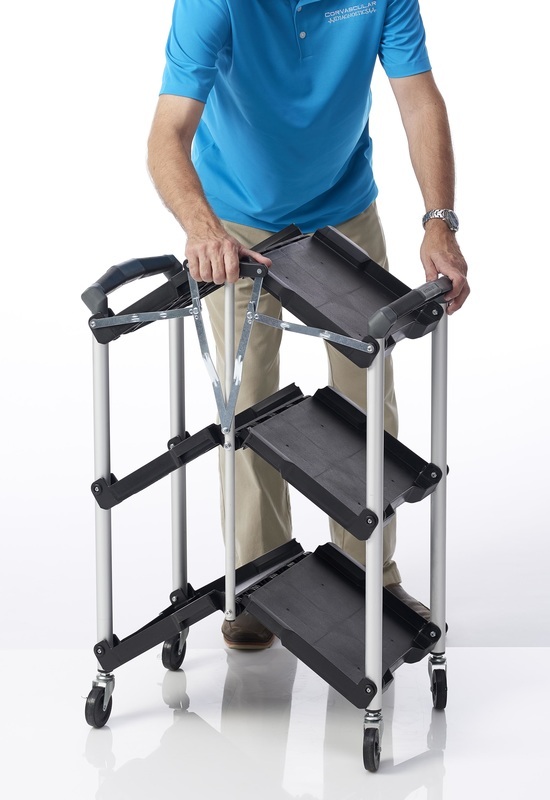 Included is a rugged collapsible cart and rolling carrying case. 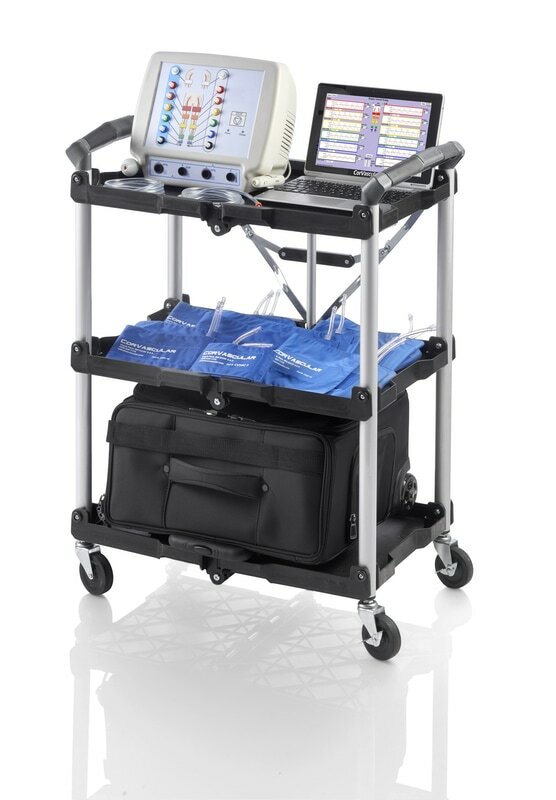 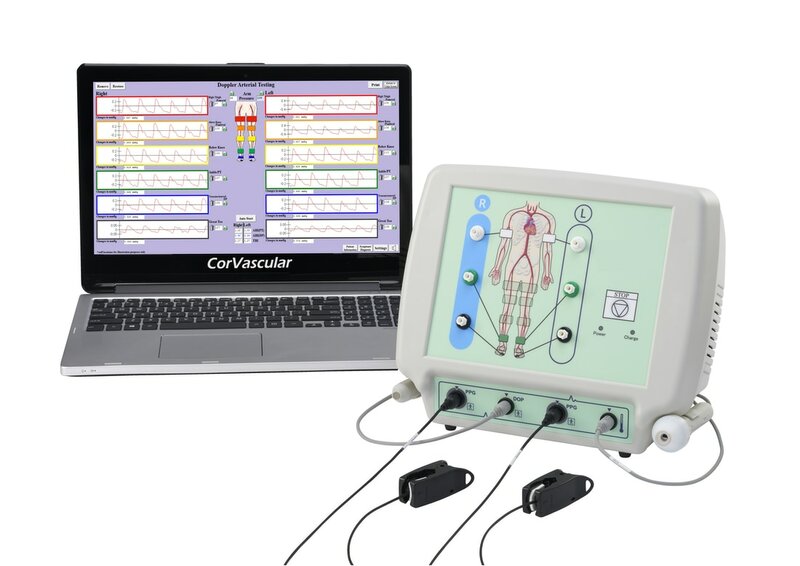 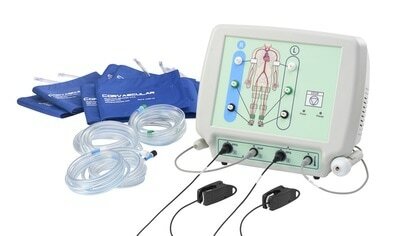 The CorVascular Pac-N-Go includes the VasoGuard F6 system and is upgradeable to the VasoGuard F14.